A whopping 80 percent of American adults experience neck or back pain sometime during their lives. In fact, it is one of the most common and costly ailments in our society. The cost of treating neck and back problems in time lost from work, the cost of insurance, therapy, and surgery runs into the billions of dollars every year. At Performance Therapy in central Mississippi, our highly qualified physical therapists have years of experience treating patients with neck and back pain. Our physical therapists will thoroughly evaluate your health and pain history. This evaluation gives us a thorough understanding of how the pain evolved (traumatic injury, gradual injury, or one that just appeared “out of the blue”), what positions make the pain better or worse, and what types of daily activities you perform that may contribute to your pain. We will check your range of motion, flexibility, strength, posture, and other points that may affect your pain experience and then create a customized treatment program based on our findings. 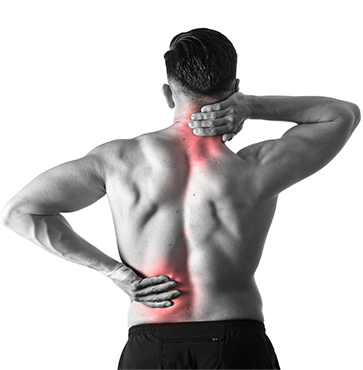 The physical therapists at Performance Therapy have helped thousands of people with back and neck problems, and we look forward to providing pain relief for you, as well. Call Performance Therapy at (601) 650-0002 or use our convenient online appointment request form.